Images are arranged by year, then alphabetically. Each artist's name is a link to his or her Neomail so you can leave comments if so moved. This is not an art site, so please keep them in a non-critical tone whether they're meant constructively or not. Any flaming will result in a report to the Neopets Team. 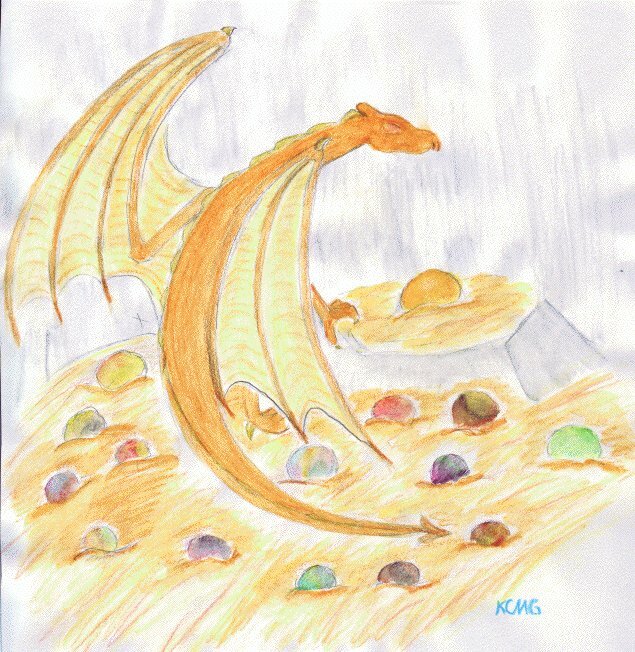 If you want to submit art, Neomail neshomehs_galen to discuss it. Images should ideally be less than 100 KB in size with 150 KB as the outside limit for very detailed color drawings. 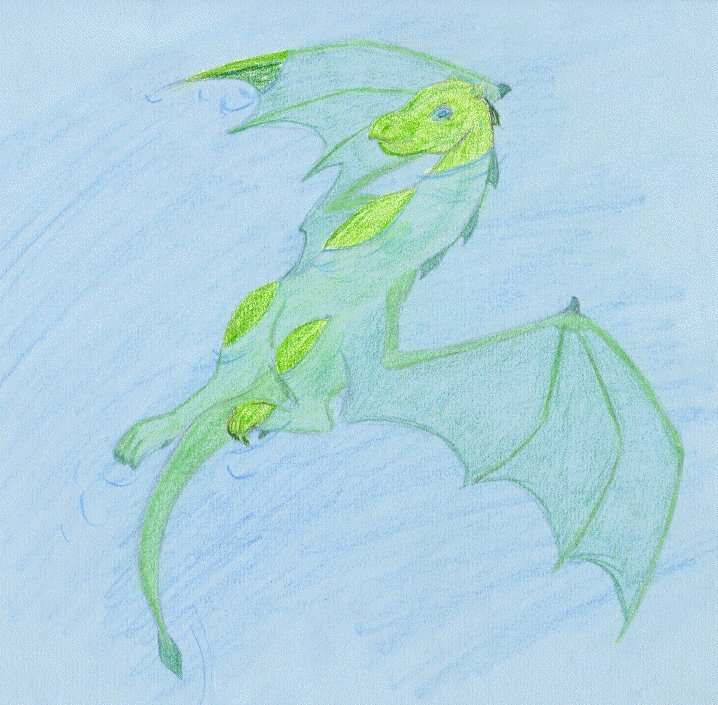 Bathing Green Water color pencil, 2004: fooled around with in Paintshop, 2006 An old, pixely picture I did of a green dragon taking a swim. I tried to make it seem more under water recently. 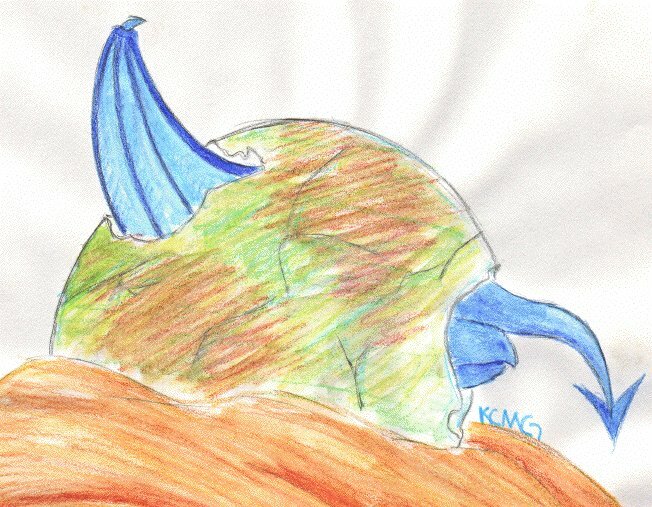 Dragon Head Pencil, 2004 This was mostly an experiment in pencil "coloring" and shading. I like it. Hatching Blue Water color pencils, 2004 It's got that weird wavy paper thing going on like the clutch picture above. Damn non-watercolor paper. 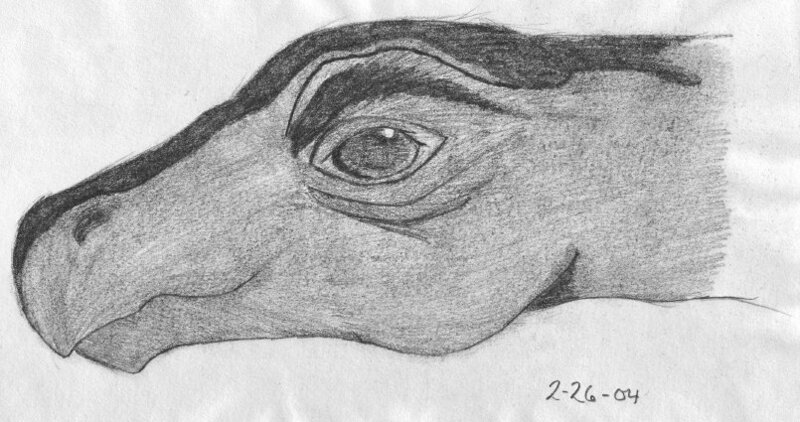 He's Just Hangin' Out Pencil, 2004 This little draggie is just hanging out on his couch. I was experimenting with perspectives. 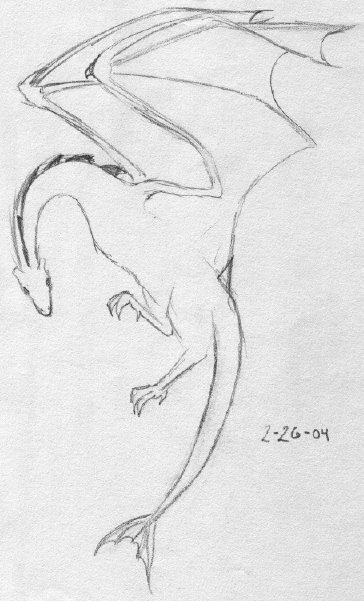 Random Dragon Pencil, 2004 A little experimental dragon. Alondra and Patrith Pen inked and painted in Photoshop, 2006 Alondra's profile picture. B'dorn and Voulath Pen inked and painted in Photoshop, 2006 Just a pic I did as for B'dorn's character page. 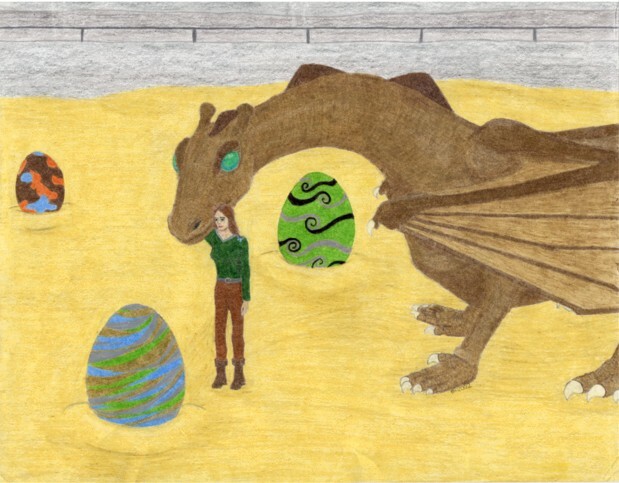 Gweneth Pen inked and painted in Photoshop, 2006 This is Gweneth (one of my oldest Pern characters) and her dragon, Arviath's, nose. I'm actually kinda proud of this because it was my first fairly successful attempt at detailing and shine work in Photoshop. J'dan Pen inked and painted in Photoshop, 2006 J'dan is currently Galen Weyr's Weyrleader. This is his character picture. 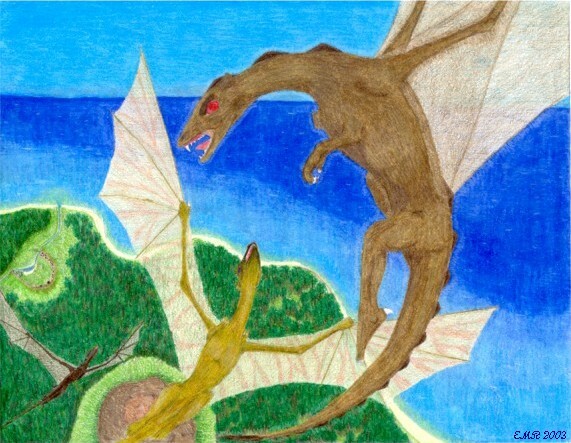 Cain the Fire-lizard Color pencils, 2001 An antique from the Dark Ages before Prismacolors. Beth with Eggs Prismacolor pencils, 2002 Jenni and Beth survey Beth's latest clutch. My dragon design still needs refining here. 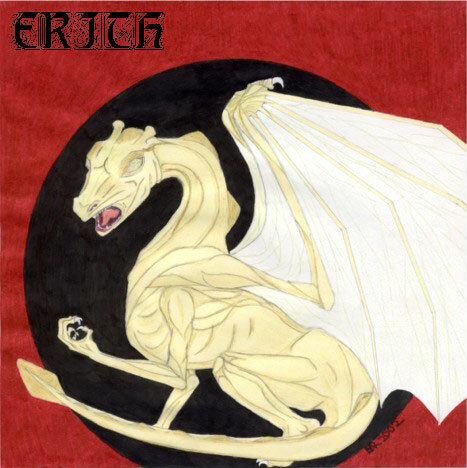 Erith Prismacolor pencils, 2002 The unique and terrifying offspring of Beth and bronze/brown Aidiarth. I still really like this picture, despite things I would do differently now. Fellis Prismacolor pencils, 2002 A fellis blossom and berries. 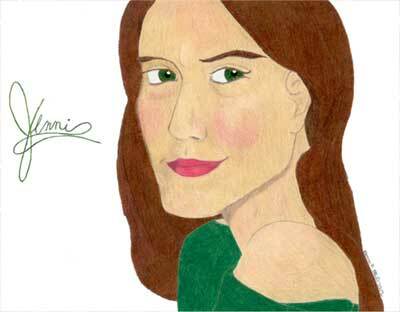 Jenni Prismacolor pencils, 2002 This is still my best color picture of Jenni. 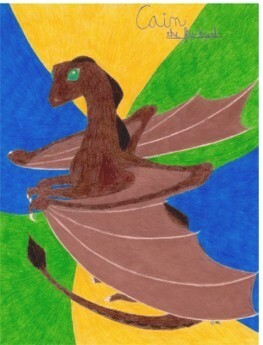 Beth in Flight Prismacolor pencils, 2003 Beth, bronze Saganth, and brown Nacanth over Moon Lake Weyr. 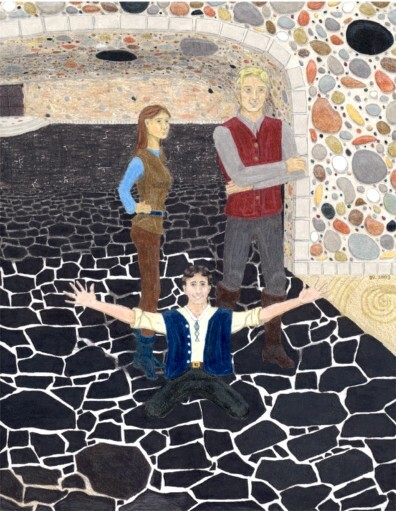 Harpers Prismacolor pencils, 2003 Anticlockwise from the top, Jenni, Masterharper Alric, and Journeyman Rediral. So much wrong with the faces. Ack. 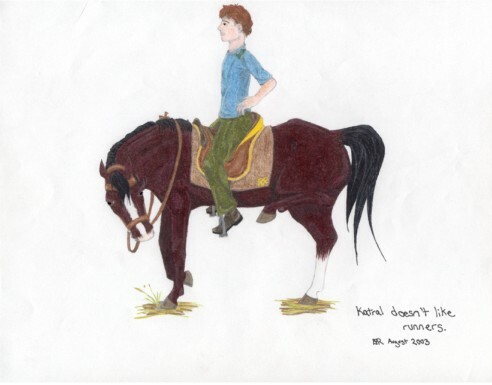 Katral and the Runner Prismacolor pencils, 2003 Healer Katral, a wee apprentice in this picture, does not get along with runners. It is my suspicion that he has motion sickness, because he doesn't like sailing or flying, either. 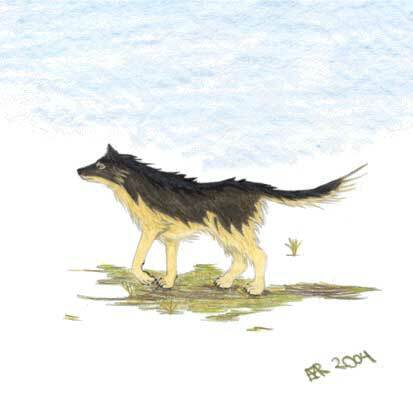 Solo Prismacolor pencils, 2004 O'ma's staunch and loyal canine. 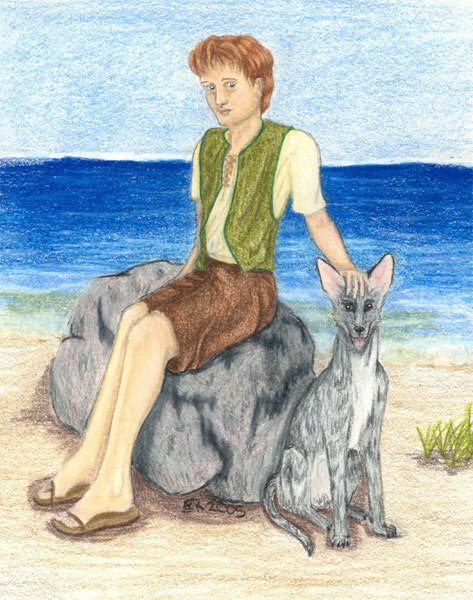 Aidrian Prismacolor pencils, 2005 Young Aidrian at about 11 Turns old, shown here with Tipiolo, before he Impressed blue Vivifith and became A'drin. 1000 Posts! 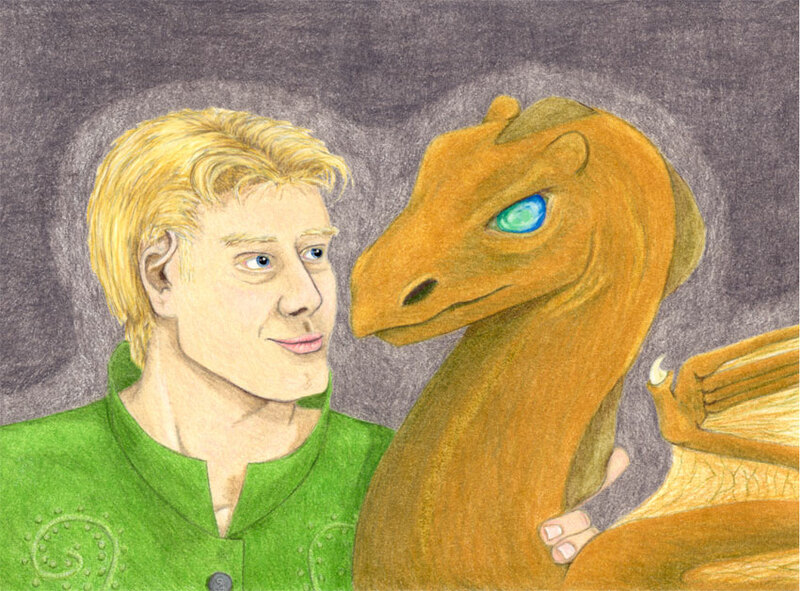 Prismacolor pencils, 2006 A token of thanks to the members of Galen Weyr, summer of 2006, featuring Beth, Vaensnth, and a random gold fire-lizard. 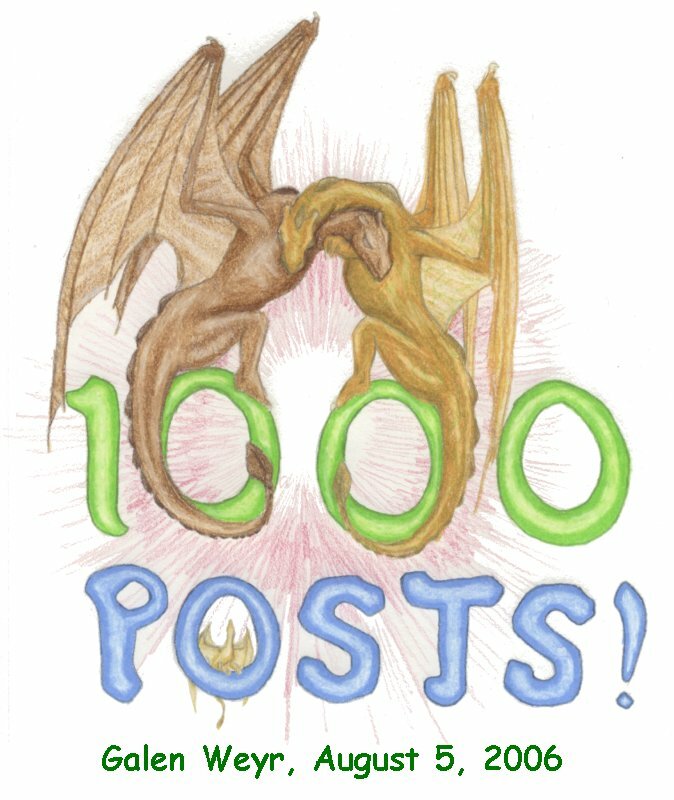 Here's to a thousand times a thousand posts! 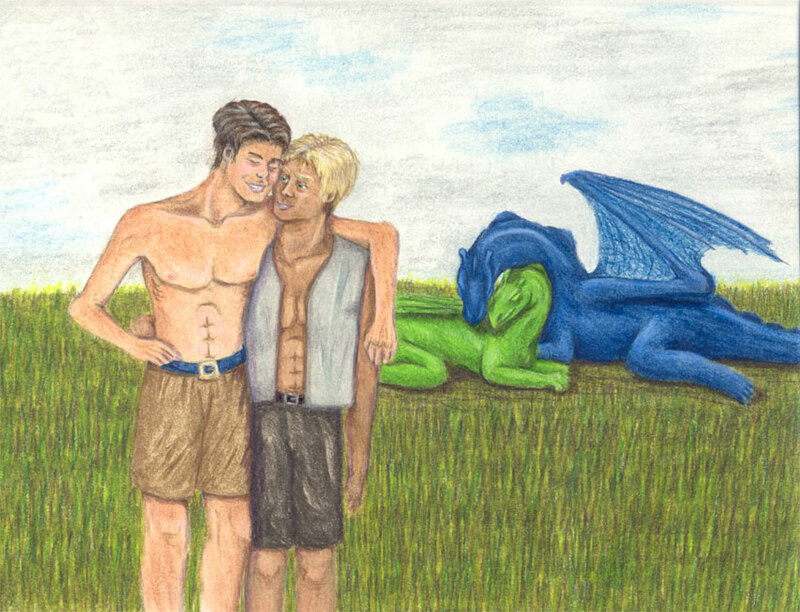 An Outing Prismacolor pencils, 2006 M'gan, S'fen, and their dragons find some quiet time alone. Bluerider M'gan isn't worried about the cloudy weather. Wherhandler Prismacolor pencils, 2006 Den and his bronze Desk. Den's face is wonky, but I'm pleased with how Desk came out--even if he is too pretty for a watch-wher. 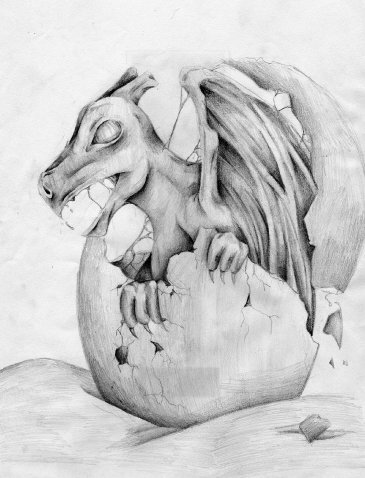 Hatching, Part 1 Pencil, 2002 This was done a while ago. I was utterly bored and this is what was made. Nothing much. 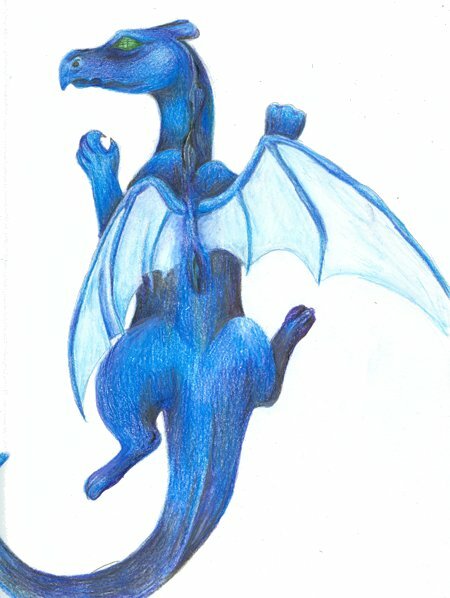 Blue Dragon Color pencils, 2003 A blue dragon I did while I was bored. 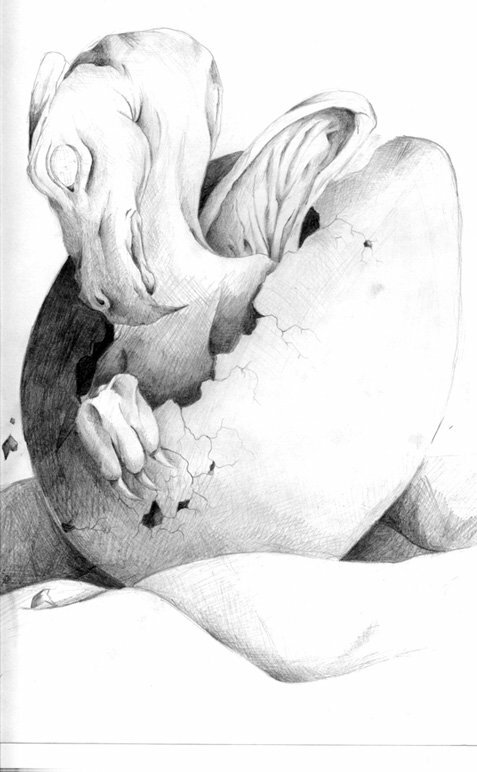 Hatching, Part 2 Pencil, 2004 Yes. 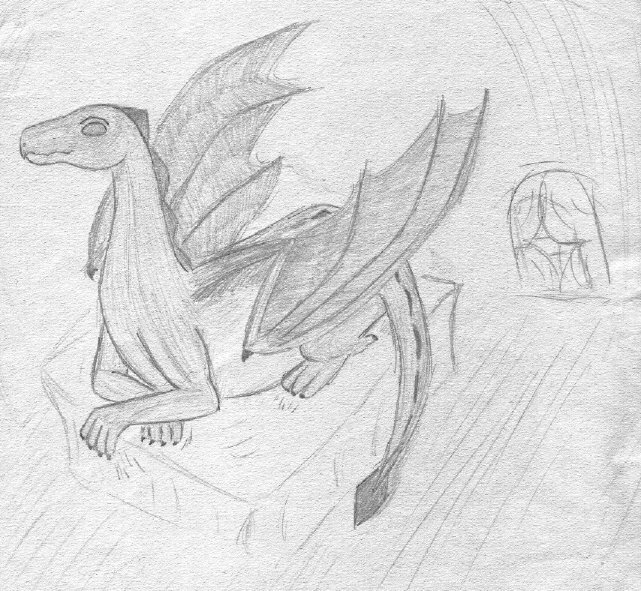 I was bored more recently and decided to do the second step of the hatching I did when I was bored two years ago. All original works are solely the possession of their respective creators and may not be used without express permission. This page last updated 8.23.06 by Neshomeh.